When the site where Clem had dreamed about opening her own cafe is rented to serve as a steak house, she goes a bit ballistic. She storms right over to confront the owner, Zach, who of course turns out to be just right for her. Even though their different backgrounds and life philosophies are completely different, they do seem to work it all out. Her roommate Sarah is a real kick and serves as a "project" for Clem to help prove just how good her lifestyle can be for one's body since Sarah does end up losing weight and feeling better. This is dialogue driven snark so you know how much I enjoyed this! It is a well written beachy, chick-lit read and I can see this as a series as Clem helps convert more people to the vegan lifestyle. If you liked it, I'll give it a try! 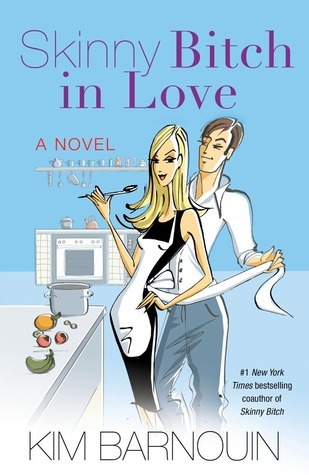 Cookbook author to fiction sounds interesting! These types of stories always give me a new appreciation for food and to try something new. I usually don't but it's the thought that counts! There's no Canada option, and yet you say "Contest is open to anyone over 13 years old with a US or Canadian mailing address"
I made a mistake -- the form is always correct for geographical limits. Sorry for the confusion about Canada. Thank you SO MUCH for another really AWESOME giveaway!! This book sounds AMAZING!! I'm really looking forward to reading this one! !